As a practiced and qualified Shaman Vicky can help with health issues, that can be related to past lives and also from this life. From traumas that we go through in our daily lives, we can leave some of our energy in those situations and through various shamanic practices, Vicky can bring your energy and energetic patterns back into balance which can lead to improved health and well being with Shamanism. If you feel stuck in a life situation, not be being able to have a life partner, no dream job, or feel your life is blocked in some way as you can’t move forward or you have major decisions and choices to make Vicky can help with accessing the Akashic Records and help you reach your full potential in life, with helping to clear the blockages, and releasing through Universal healing points. You may feel that the energy of your home is not yours or it has changed. If there has been any trauma in the house, with the land with building renovations, with divorce, bankruptcy or death or illness this can change the energy of the home and bring about negative aspects in your life, affecting your career, your relationships, no friends and illness If this is the case then Space Clearing your home is what is needed to bring balance and harmony back to your home and your lives. Vicky has many strings to her bow and is also a qualified Feng Shui practitioner, visit her website for more details on consultations for Feng Shui and Space Clearing www.fengshuilife.co.uk, as well as being a professional dowser of Earth Energies and Geopathic Stress visit her dowsing website at www.internationaldowser.com where she also has more details on her Feng Shui and Dowsing Courses which are very popular too. Vicky runs Introductory courses on Shamanism to introduce people to the benefits of meditation and journeying to our past, present and future lives. 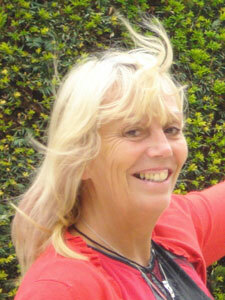 Vicky teaches Shaman courses and retreats in London, UK, Spain, France, Slovenia, Turkey and the USA. Vicky is a member of The Society for Shamanic Practitioners www.shamansociety.org and has regular clients all over the world. Many clients seek her help via skype. Book your Shamanic Space Clearing or Akashic records consultation now with Vicky tel: +44(0)1279 654129 Mobile: 07885 945008 Email: vickysweetlove@vickysweetlove.com or get in touch using our contact form with your enquiry.